You love your dog. And you also love taking photos of your dog, right? 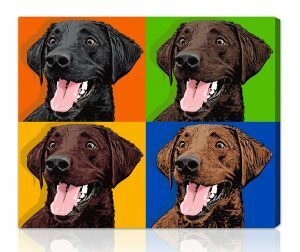 Why not turn some of those photos into a custom pop art dog portrait you can hang on your wall? 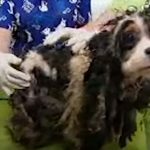 AllPopArt.com makes beautiful customized portraits out of photos of your dog. You can choose from several pop art styles, like Warhol, Lichtenstein, “pet-glo” (reminiscent of Dean Russo), geometric, retroPop, and also many others. They will even just print your photo straight to canvas if you prefer. First, place your order on the website. Second, upload photos of your dog, email them, or send them by mail (they’ll return them). Within 3-5 days, you’ll receive a preview of your pop art dog portrait. You can request color changes or other modifications. Finally, you’ll receive your custom artwork about a week after you approve all changes. 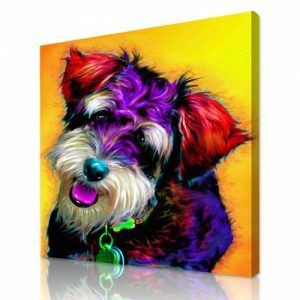 Pet-glo uses bright colors, brush strokes, and realistic textures to capture your dog’s personality. 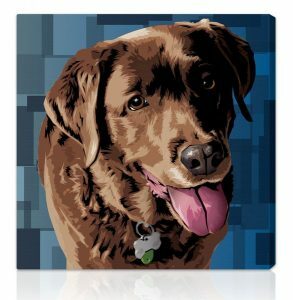 Warhol style features a stylized portrait of your dog on a solid, bright colored background. You can choose the colors for each panel. 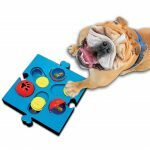 In addition, you can choose from 1 to 6 panels, or 9 panels. Comic book style will turn your dog into a Lichtenstein-esque masterpiece. Geometric stylizes your dog and features a geometric pattern in the background. 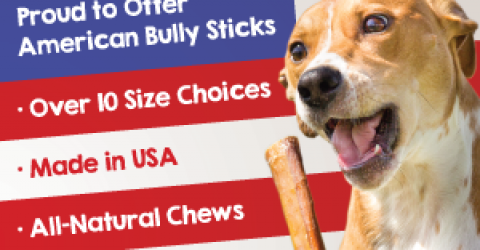 In addition, there are many other styles to choose from to capture your dog at its best. 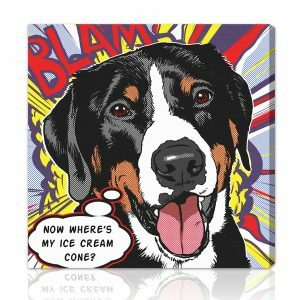 Visit AllPopArt now to choose your custom pop art dog portrait now.